The Weave add-on lets users synchronize their URL histories, bookmarks, passwords and settings (with some early problems reported for bookmark synchronization, but other functions working fine). The add-on also copies form contents, if the function is set up to do so. Users can also port their last 25 open tabs. Storage of this data is on Mozilla Corporation's SSL servers, although users can install the tool on the their own servers. The Mozilla release notes provide further details. Future plans are for more add-ons, search plugins and other personalization. 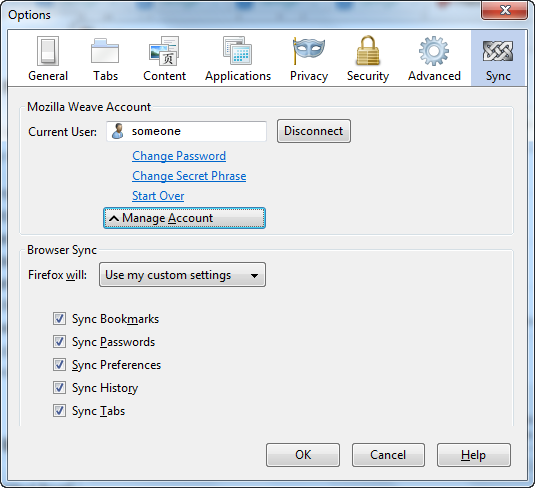 Weave version 1.0 is available in the Firefox project's Add-ons collection, although users require the newest Firefox. Older Firefox versions between 3.1 and 3.5 require the earlier add-on versions; users of the 3.0 series are out of luck. The Weave project has been around since the end of 2007. Right from the start, it had already been considered for Firefox's mobile browser, Fennec. The first Fennec release candidate emerged the beginning of January this year, and the third candidate was also recently posted on Mozilla's FTP server. Mozilla blogger Percy Cabello at least has been looking forward to the stable version 1.0 of Weave.